Wells Fargo & Company has set aside a staggering $60 billion to lend to at least 250,000 black homeowners by the year 2027. Metropolitan Atlanta’s second-largest bank also pledged to increase the diversity of its home lending sales team and spend another $15 million to give financial education and counseling over the next 10 years. The announcement came at a recent press conference in Atlanta that was attended by representatives from several organizations including the National Urban League, the NAACP and the National Newspaper Publishers Association – an organization comprised of 211 African-American-owned newspapers and media companies. The banking giant’s commitment was hailed as a direct action to help address the lower homeownership rates in the Black community and it follows Wells Fargo’s announcement to address Hispanic homeownership rates in 2015. Further, officials said the company’s commitment seeks to increase the diversity of the Wells Fargo Home Lending sales team, and support the effort with $15 million to support a variety of initiatives that promote financial education and counseling over the next ten years. “Wells Fargo’s $60 billion lending goal can contribute to economic growth by making responsible homeownership possible for more African-Americans in communities across the country,” Brad Blackwell, executive vice president and head of housing policy and homeownership growth strategies for Wells Fargo, said in a statement. “We are proud to be the first mortgage lender to make a public commitment to help increase African-American homeownership. And, we are grateful for the support of key housing and civil rights organizations, who work alongside us to increase economic prosperity in our communities,” Blackwell said. The company has also pledged to continue to improve diversity of its sales team, including increasing the number of Black home mortgage consultants, noting that they’ll dedicate $15 million to support a variety of initiatives that promote financial education and counseling for African-American homebuyers. 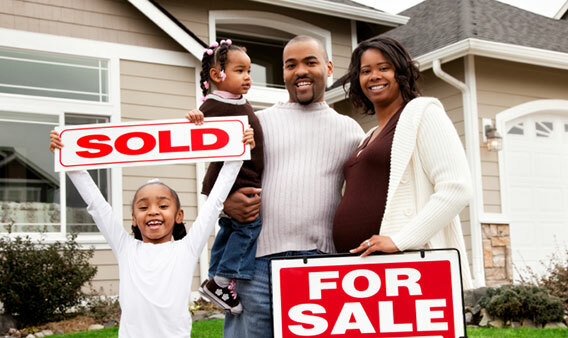 The African-American lending commitment is the second initiative from the company’s Housing Policy and Homeownership Growth Strategies group, a Wells Fargo Home Lending team advancing homeownership for minorities, first-time homebuyers and low- to moderate-income customers. “Homeownership has become an indispensable part of being a full participant in American society,” National Urban League President and CEO Marc H. Morial said in a statement.